The Lamar Hunt U.S. Open Cup is a competition of hopes and dreams, a tournament where anything can happen and sometimes does. It is where amateur clubs fight to face off against NASL and MLS teams, and sometimes even win. In 2012 Eric Wynalda’s Cal FC took a mix of former pros and college stars deeper into the tourney than any amateur club in recent history, beating the Wilmington Hammerheads and Portland Timbers during the incredible run. The Timbers fell 1-0 on an extra time goal by Artur Aghasyan, bringing about what some call the biggest upset in the Cup’s illustrious history. It’s also a place for players to make a name for themselves, proving they deserve more time in the starting XI or even a step up to the next level. Simply put, it is a time to get noticed for what you do on the pitch. The tournament is framed by a good deal of uncertainty and has truly come to represent the diversity of the American game in the most appropriate manner. We asked two individuals to share their own thoughts and experiences. Josh Hakala, senior editor for TheCup.us and an active member of the North American Soccer Reporters (NASR), is considered to be the country’s foremost expert on the U.S. Open Cup. The Cup.us website was established in 2003 to provide full coverage of the U.S. Open Cup, making it the premier location for the largest amount of news from the tourney. NPSL Chairman Joe Barone is also Vice President of the Brooklyn Italians, a team that has won the USOC title twice in the club’s long and decorated history. The Italians are known for their strong development structure and youth system, one that has produced a number of professional players, including recent New York Cosmos signing Jimmy Mulligan. 1. What can NPSL teams do to improve their standing in the Open Cup? I think it’s pretty simple: win games. To earn the respect of the Open Cup committee, you’re going to have to show more than just “we have a lot of teams in our league.” The NPSL hasn’t beaten a professional team yet (0-15-0), and they haven’t had anyone reach the third round where they would play a Major League Soccer team. They’re also only 7-13-4 (3-1 in PKs) all-time against other amateur teams, so there’s definitely some work to be done and it takes time. To use a non-soccer reference, I like to think of it as a “mid-major” conference in college basketball. Sure, that conference may have a few really good teams at the top, but it’s the quality of the conference as a whole that ultimately dictates the respect those top teams will earn. 2. What can you tell us about the success of the Brooklyn Italians with regards to the USOC? The Italians have a rich history dating back to 1949. They have remained one of the top clubs in New York, no matter what league they’ve played in. As far as the Open Cup, they traveled to Chicago to beat Croatian SC to become the first Italian-American club to win the tournament in 1979 under the name Brooklyn Dodgers. They returned to their original team name and were runners-up in 1990, losing to Chicago’s AAC Eagles in Indianapolis, but returned the following year and were fortunate enough to host the final and beat Houston’s Richardson Rockets 1-0. A fun fact about that 1991 final is that no matter how much he’s accomplished as a sports executive, current Real Salt Lake president Bill Manning will always be known as the guy who almost blew the 1991 Open Cup Final. The Italians were up 1-0 early in the game, but Manning picked up a red card in the 23rd minute so Brooklyn had to play with ten men for the remainder of the match. Luckily for him, the Italians held on and he can put “Open Cup Champion” on his resume. 3. What NPSL player impressed you in the Open Cup last year? As far as the NPSL players are concerned, I wasn’t the only one impressed with Kwadwo Poku of the Georgia Revolution. He looks like quite a find for the Revs. He scored the team’s lone goal in the team’s Preliminary Round shootout win over the Colorado Rovers, and then he scored a hat trick (and assisted on a fourth goal) in a 4-1 win over the Real Colorado Foxes (PDL). He played a full 90 against the Atlanta Silverbacks, assisted on a goal in the losing effort, and obviously Atlanta was paying attention because they signed him this past offseason. I’ll be curious to see how he performs at the next level. 4. What NPSL team would you expect to be the favorite in the tourney? 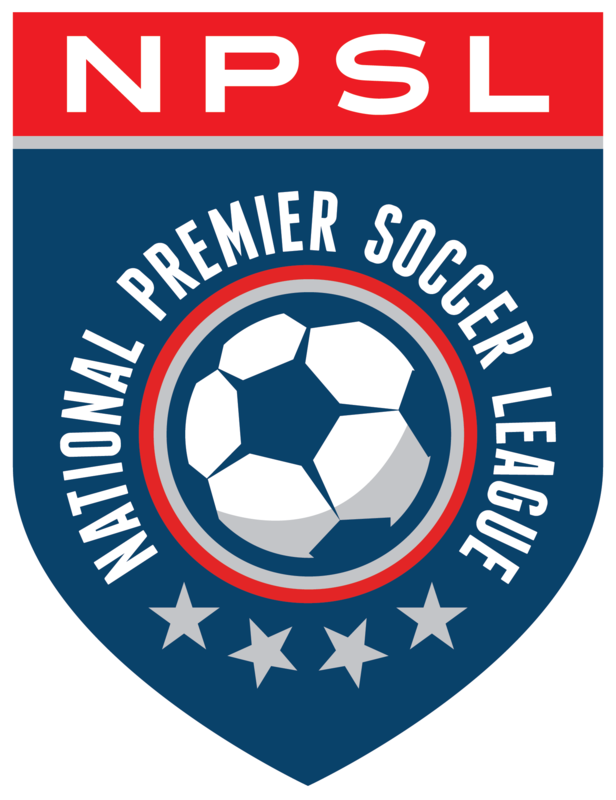 In the NPSL, it’s really hard to say because you never know what the teams are going to look like from year to year, just like the PDL. And as of right now, we don’t know which teams are in this year, but based on what we do know, the San Diego Flash might be a team to watch. They’ve already had a qualifying tournament under their belt and have beaten some good teams recently. They look good and are expected to be in. It’s pretty safe to assume that Richmond and Detroit City FC will be in for 2014, so it’ll be interesting to see how they do in their first time around. 5. What general qualities does a team have to possess when it comes to winning the Open Cup? I think the key is depth. Fans complain about teams not starting their best XI in cup matches, and that’s just unrealistic for a lot of teams. Open Cup games are usually midweek, so you’re often playing league games on either side of the cup game, so it’s hard to shuffle your roster around to put out a competitive team in both competitions. If you have a deep team, then this won’t be too difficult, but if you’re using the same team that you played with in your league game the weekend before, then you might be in trouble. 6. How does the U.S. Open Cup compare to other tournaments worldwide? Obviously, cup competitions don’t mean as much to clubs and fans around the world. You could say, for example, that the FA Cup has already had its peak and now is an afterthought to many. Unfortunately, the Open Cup here in the United States has yet to reach its peak in the 100 years that the competition has taken place. It has a long way to go before it has the reach that cup competitions around the world have, but one has to consider the fact that professional soccer has been established and part of the mainstream sports landscape for much longer in other countries. In terms of longevity, the Lamar Hunt U.S. Open Cup is either the second or third oldest cup competition in the world. Ireland’s domestic cup competition began in 1881 and the US Open Cup began as the National Challenge Cup in 1913. Based on our research, the only country that could overtake the United States is Barbados. Their domestic cup dates back to 1910, but I have yet to confirm if the tournament has been continuously operating or not. 7. Why should teams make the Open Cup a priority? If the history of the tournament isn’t important to your club, or if winning a trophy isn’t important to your club, then the biggest selling point I can make to a club who doesn’t value the tournament is that it’s the shortest route to qualify for the CONCACAF Champions League. MLS teams only have to win four or five games in a row to get in. There aren’t many NASL or USL Pro teams that are lacking in motivation, especially since this is their only path to the Champions League and a way to prove themselves against the top teams in the country. 1. What can you tell us about the history of the Brooklyn Italians in the Open Cup? In 1979 the Brooklyn Dodgers, who played in a German-American soccer league in the New York area, won the Open Cup title. The name Dodgers was chosen as it would brand the club as more Americanized, but eventually the team went back to the Italians name. In 1980 and 1990, the Italians lost in the finals of the Cup. In 1991 Brooklyn was able to claim their second title, beating Richardson Rockets out of Houston, Texas. The Rockets featured a number of SMU players and even a future MLS player. 2. What has helped your club have so much success in this tournament? The ethnic diversity of New York City and its players have been very valuable to the club. We were fortunate to have professional players come to live in NYC. For example, a number of Nigerians that won the U-20 World Cup in 1990 came to play for the Italians. As you can see the “melting pot” of New York City has brought about a good tradition of quality soccer. 3. What does the Open Cup mean to you personally? to the club as a whole? This is the only competition in American soccer where it mimics one league. It is an opportunity for the NASL to play MLS and for amateur teams to make some noise by knocking out one of the pro teams. It is a great opportunity to play one of the “big boys” in the American game. 4. What does it take for a team to win the Open Cup? What is the recipe for success? I don’t think in today’s times amateur teams have much of a chance. MLS and NASL teams are most likely to win now. It is incredibly difficult for amateur teams to keep their squad together in the later rounds. Players go back to college with finances and budgets always a concern with the amateur clubs. This article has been excerpted from an NPSL/NASL feature on ISNSoccer.com. Another excerpt that focuses on the NASL appears on the NASL official website.